Judith Mitchell is the POPS CEO/President. 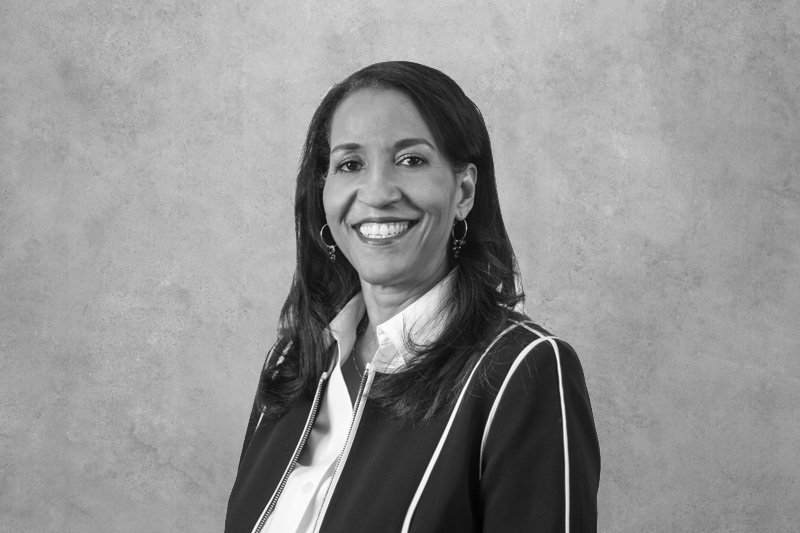 Since January 2016, she has brought her passion to uplift communities and decades of nonprofit experience to amplify the organization’s mission. In addition to having worked for three of the largest national nonprofit health organizations; American Cancer Society, American Heart Association and the Leukemia & Lymphoma Society, Mitchell has also had success as an entrepreneur having owned 2 businesses and managed a for-profit surgi-center. After graduating from Tufts University, Mitchell joined the American Cancer Society (ACS) as a Program Director in the Dade County Unit, where she was responsible for bringing lifesaving information about cancer to the African American community. Her experience led to several leadership roles including Unit Executive Director and being selected as one of 7 National Representatives for the Southern Area Office of the ACS. In this role she traveled to 14 southeastern states in various capacities working with Division Staff to expand their cancer education programs throughout the states. Her role was expanded to include 26 of the 50 states including Puerto Rico, and later she became a Vice President of Operations, and soon after, an Executive Vice President. Mitchell has the distinction of being named the first African American to hold the esteemed position of Executive Vice President for one of the 50 American Cancer Society Divisions. After taking a brief sabbatical from the nonprofit world to open her own business providing professional services to homeowners, her fundraising and outreach talents were summoned by the American Heart Association (AHA) where she was recruited to lead the organization’s premier fundraising event- the Heart of Gold Ball, raising nearly $300,000 annually. In 2004 Mitchell was recruited by the Leukemia & Lymphoma Society to open the Nevada Chapter in Las Vegas, serving as the Executive Director. With a life dedicated to the nonprofit sector, Mitchell has the unique combination of both executive leadership capabilities and proven fundraising success. Her integrity, creativity, and hard work has helped change the lives of thousands of individuals throughout the country, and she looks forward to continuing her work at POPS, meeting with existing funders and forging new relationships in the community to attract new partners to the organization. Mitchell lives in Ocoee and has two adult daughters.